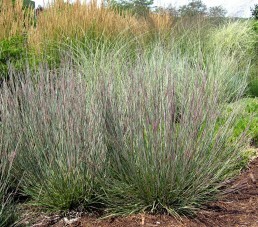 Ornamental grass, very drought tolerant but can also do well in moist environments. 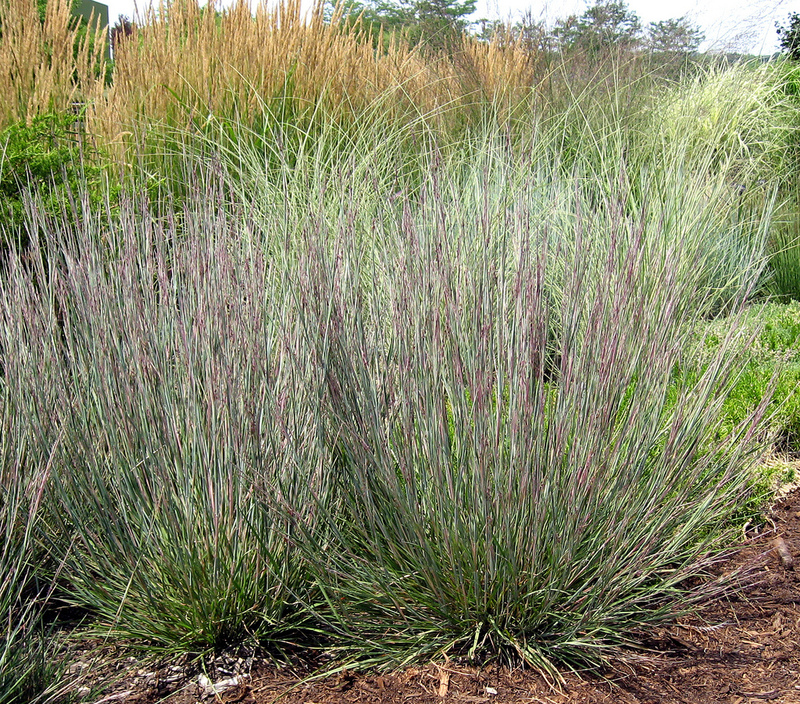 Ornamental grass, very drought tolerant but can also do well in moist environments. Grass turns from blue-green in the summer to bronze, copper or crimson after the first frost. Excellent plant for wildlife , caterpillars of several skippers feed on foliage such as Dusted skipper, Cobweb skipper, Ottoe skipper, Indian skipper, and the crosslink skipper. Grasshoppers, prairie walking sticks, leaf mining beetles, thrips, spittlebugs and leafhoppers also feed on the plant. The seeds of the grass are also eaten by songbirds and other mammals.